Nostalgic, yet modern…Adventurer’s Club would be a perfect fit. While the concept art looks beautiful, I would love to see the Adventurer’s Club return. In case nobody mentioned it, how about bringing back The Adventurer’s Club? Kungaloosh m’darlin’. I would love to see you bring back the Adventurers Club and maybe a couple other places along the same lines [some other kind of ‘show’ like this? Who Wants to Be a Millionaire? would be a pretty cool addition and a huge crowd draw]. But the AC’s immersive entertainment was uniquely awesome, and truly had a solid chunk of Disney Magic around it. I am a manly man, and I do not casually mention things like ‘Disney Magic’ about just anything. I only got the chance to go once, and I do have to say that this would get me to consider our next trip sooner rather than later. Kungaloosh. That’s my final answer! Read ‘Richard from LA’ entries at #268, #315, and #329. It would certainly seem you guys are on to something. 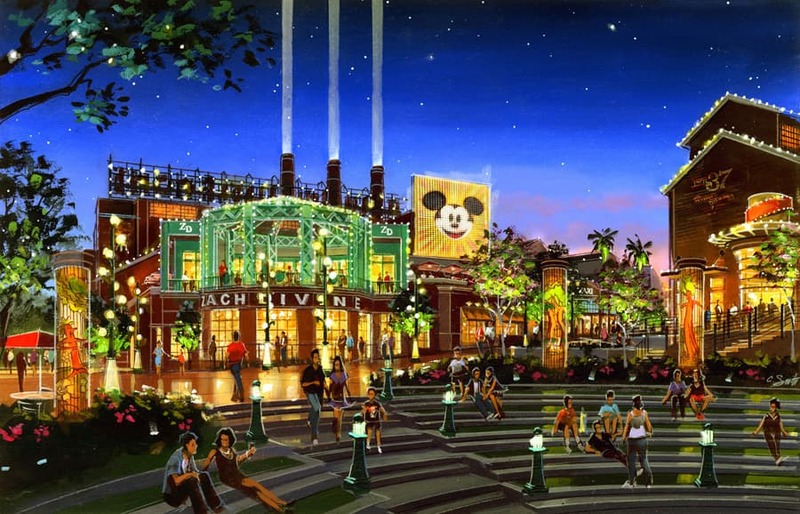 This looks absolutely wonderful but I would expect nothing less from Disney, we look forward to visiting when completed, wish it was going to be finished for our 2011 trip? Keep doing what you do Diney!!!!! This looks cool but please bring back the Adventurer’s club, the Comedy club & a dance place or too. 1. The were not being used. Usually close to empty. 2. They did not fit Disney. They were out of place and most people would rather have something they could use in a family friendly place. Sorry guys, gotta disagree with you. This is a mall, sure a mall with bright lights but a mall anyway. What’s unique or “Disney” about an AMC movie theater? It’s going to be more stores. Since pretty much all of Disney’s stuff is generic, not like the old days where every park had unique stuff, what’s so hot about having another store to sell t-shirts with Disney 2011 on them? Why not just add a starbucks and a chuck e cheese and call it a day. My wife and I miss AC also! Favorite place to visit at PI and spent hours there. While the new design looks wonderful, I am not sure I would visit unless AC was included! Hope the rumor mentioned above is true. 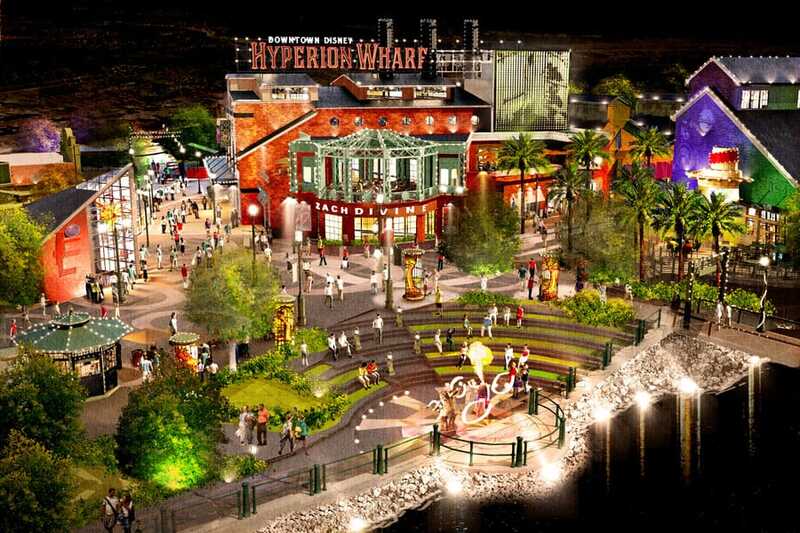 Orlando Attractions Magazine reports this morning (Thursday 12/2) of “a rumor on good authority” that the Adventurer’s Club will be a part of Hyperion Wharf. Take that for what it’s worth. I have been reading the numerous comments from your guests and the general concences is that Disney needs to consider reopening a new Adventurers Club. I really feel that the numerous comments will not be over looked by Disney after all they are experts at giving their guests exactly what they want and more. looking forward to seeing the plans for the Adventurers Club. BRING BACK THE ADVENTURERS’ CLUB!!! PLEASE PLEASE PLEASE! It makes me so sad that it was closed. That was a hidden gem at Disney. It will never happen…but how refreshing would it be to get some kind of response here from someone associated with Disney? Over 350 comments and there is one overwhelming theme – bring back the AC! I’m so curious as to what their thinking is – as much from an intellectual viewpoint than anything. bring back the gates! PI was never the same once they removed the ages and it was over-run by teenagers…. 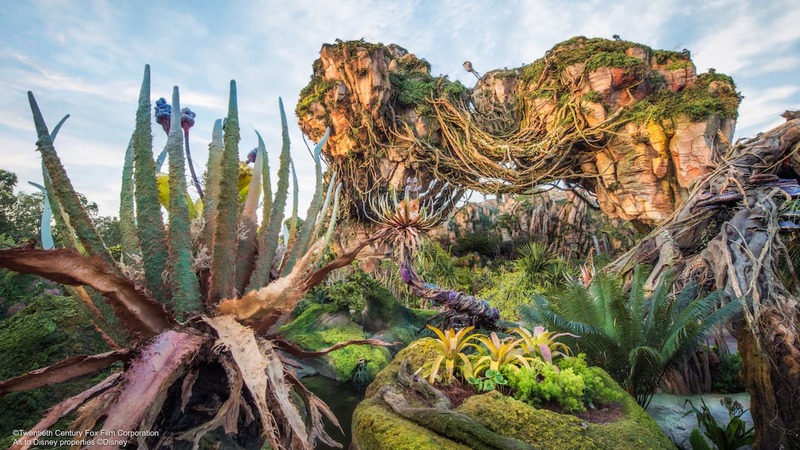 I wish I could be excited about this…..but as beautiful as it looks, I do not go to WDW to shop or do things I could do at home. I go for unique experiences. Bring back to Adventurer’s Club!!!!! Sounds great…but there are already tons of places to shop…how about bringing back some great dining that includes entertainment…there used to be (years and years ago) great shows at the Contemporary…and hey, I STILL miss the Adventurer’s Club! Let me add my thoughts to those above me in saying that The Adventurers Club would be a perfect fit into this “redesign”. The AC was the ONLY reason my husband and I ever went to Pleasure Island, and we still rave about it to family and friends who never got a chance to experience it. Please reconsider, or perhaps you’re already considering, and keep the Adventurers Club in your plans. I understand what you’re saying. However, if you look carefully, you’ll see that practically all of these posts are not “calling for a return of nightclubs” but are overwhelmingly asking for a return of ONE club – Adventurers Club. Yes, there are some asking for all or some of the other night clubs, but that’s not what the excessively vast majority on here are asking for. And for that, your objections, don’t hold. 1) Adventurers Club was very well attended. There’s no way you can say that place was “usually” close to empty…and from what I understand (obviously I wasn’t there every night, but people I know where there very, very frequently) it was seldom, if ever, close to empty. If the total number of people attending the clubs didn’t cover the cost, then having a cover charge on just the Adventurers club would take care of that. I, and most likely everyone on this blog who have petitioned for its return, would gladly pay a cover charge nightly. 2) Adventurers Club most certainly DID fit Disney. It was no more out of place than the Rose and Crown is in the UK in Epcot. Yes, it had a bar – but how many other places have a bar in Walt Disney World? This, however, was much more than that. Take the same kind of silly and partially scripted humor of the Jungle Cruise and put it in an adult setting and you get Adventurers Club. There’s nothing any more non-Disney about it than any number of other locations all around Disney properties. As far as the “family” aspect goes, by the time Adventurers club was open and in full-swing each night, few people with children still had them out in places other than the Theme Parks. 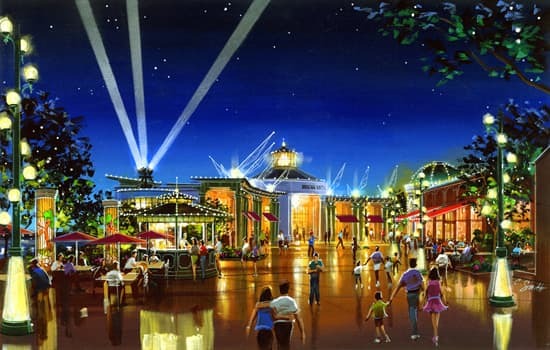 And, as has been suggested by more than one on here…it could easily be a full service restaurant during the majority of the daytime hours and then after a certain time each night it could become the club type setting that it was. This was not just a “nightclub.” This was an attraction… a unique interactive entertainment venue. It was supported by attendance, was a draw to Downtown Disney in general, and was very much the essence of Disney.